I don’t want to say that you are easy to read Lee, but u r ez 2 read. Like sands through the hourglass, these are the days of our lives. No seque needed. 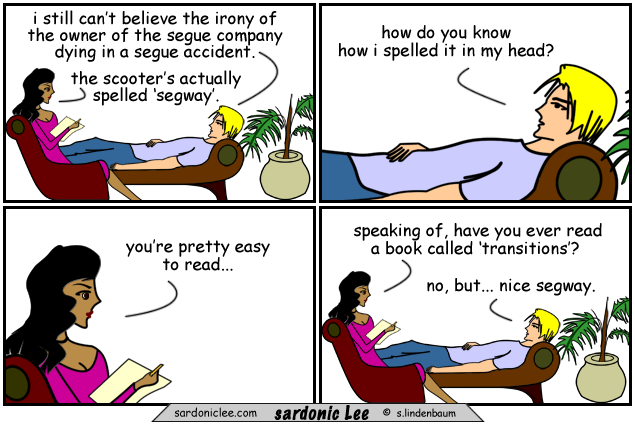 Just a segway. Anybody ever tell you ……you ploy a latte with words? “Easy to read” . . . lol!! One thing leads to another one bites the dust.